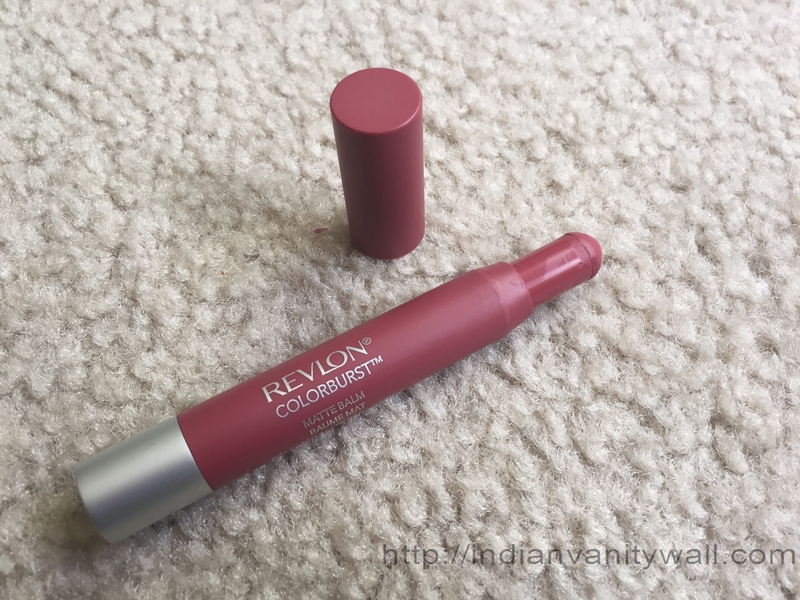 Today I have a shade from the Revlon Matte Balm collection which has been raved about a lot on the blogosphere. 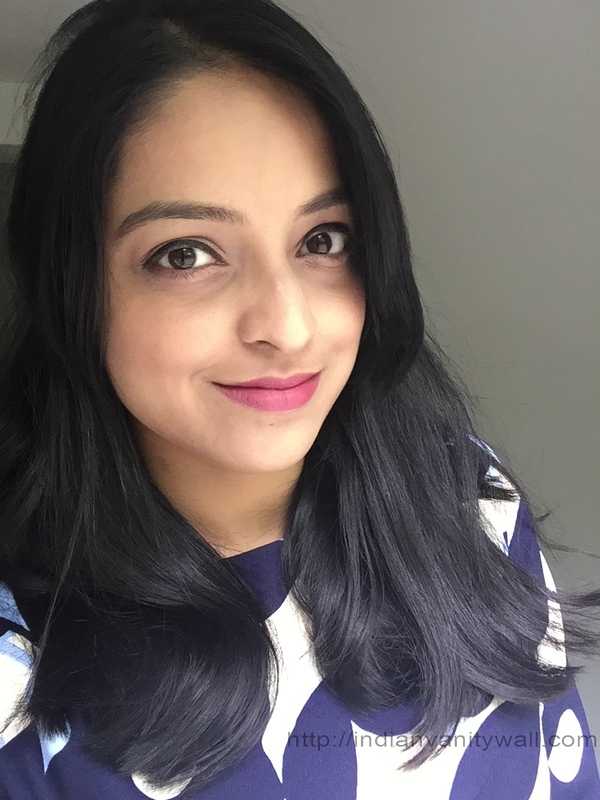 It is the shade Sultry Sulfureuse (Shade No: 225) – name reminds me of my Chemistry lab days :D. Revlon livened up 2014 with their lip product launches hands down. And they spiced up the variety with three chubby crayon version of lipsticks – Revlon Balm Stains, Matte Balms & Lacquer Balms. Vibrant colors infused with a Triple Butter Complex give you a bold, beautiful lip. It’s a burst of matte color with a balm-like feel. Go bold and get moisturized in 10 crave-able, collectible shades. 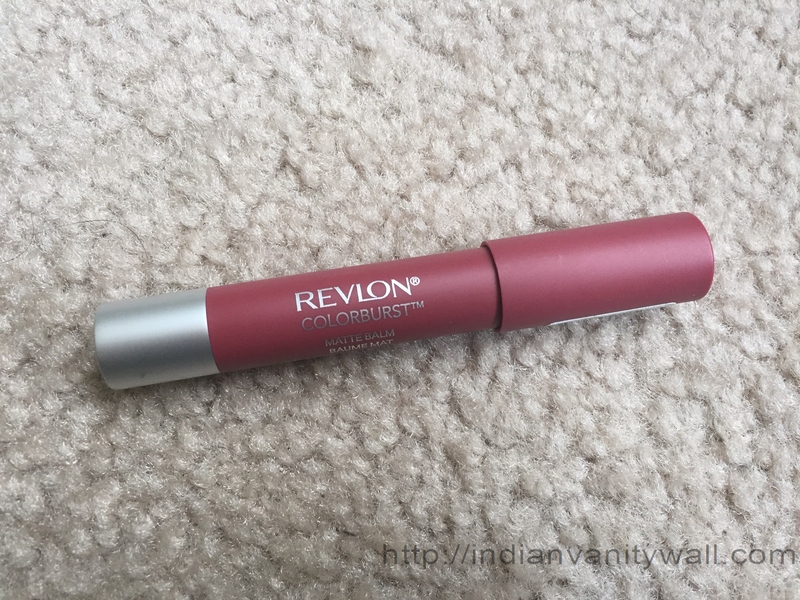 The Revlon Colorburst Matte Balm comes housed in a twist up crayon packaging. It has the same color as the lipcolor shade which makes it quite handy to locate shades. 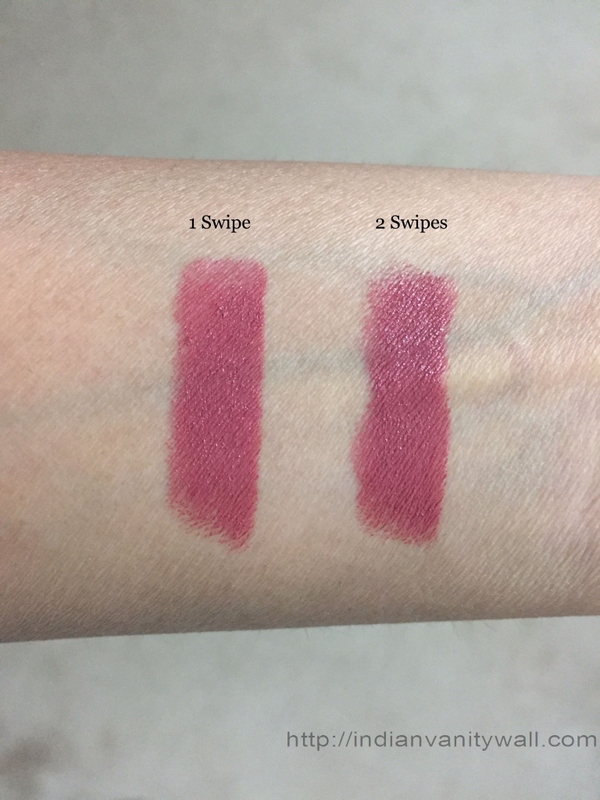 The chubby stick has a matte exterior (true to its name!) and easy to handle with the cap fitting tightly. The bottom of the crayon mentions the shade name and number on a color coded sticker. I absolutely love the twist up mechanism that prevents so much of product wastage. 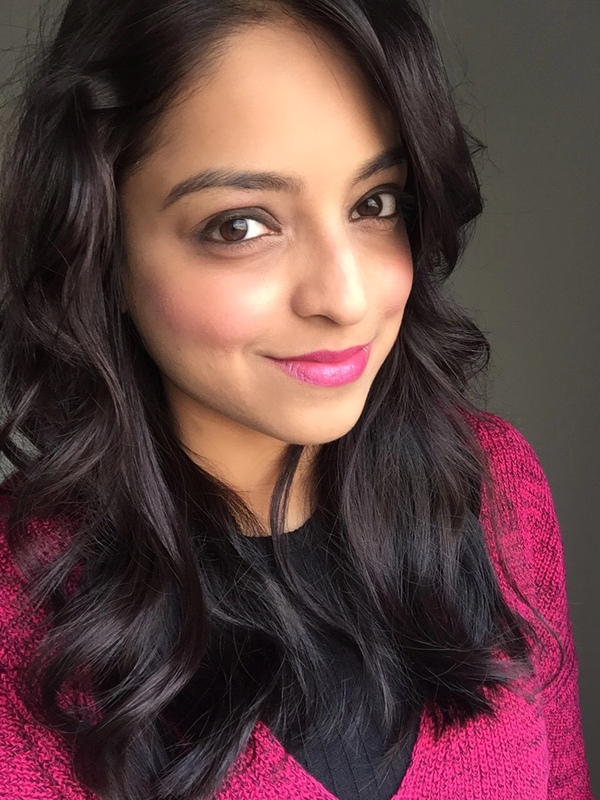 For a Matte lipstick, the formula is very creamy and soft. It glides on smoothly without any tugging. It’s not overly hydrating but at the same time it doesn’t dry out the lips. 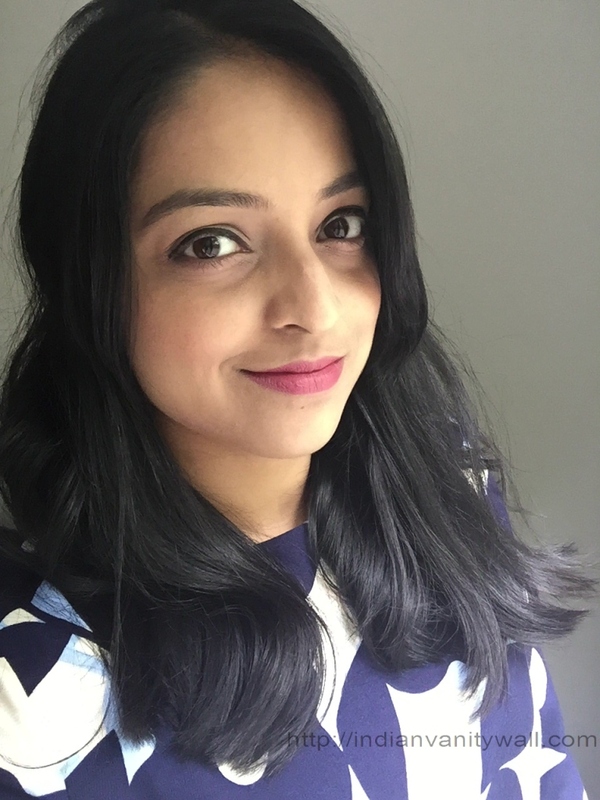 Like most matte lipsticks, it does emphasize the lines with wear but there is no sign of any flaking. I do not feel the need of a lip balm underneath with this one but those of you with extremely dry lips should opt for a lip balm. The lipstick smells of fresh mint – kind of like spearmint which is absolutely a treat to the senses. It does leave a cooling sensation on application which tends to disappear in a few seconds. The shade Sultry Sulfureuse is a dusty rose color that applies in a satin finish. The pigmentation is superb giving intense color in just a single swipe. It’s a beautiful nifty shade that would suit all skin tones. For those of you looking for an everyday shade – this is it! Staying power of the lipstick is about 5 hrs with staining which is simply awesome. It survives light as well as heavy meals. It settles into a pink stain after about 3-4 hours of wear. It fades evenly without appearing patchy. Because of the creamy texture, it does transfer a bit. To sum it up, this is an absolutely gorgeous shade that would suit most of the skin tones. It has excellent pigmentation, formula and lasting power. Having said all that, I do feel 800 bucks is a little overpriced for a drugstore brand. Yes! Gorgeous dusty rose shade that would make a great pick for everyday wear – office as well as special occasions. It compliments all skin tones. I love this shade on you! 🙂 I just got the audacious one, its really nice too. 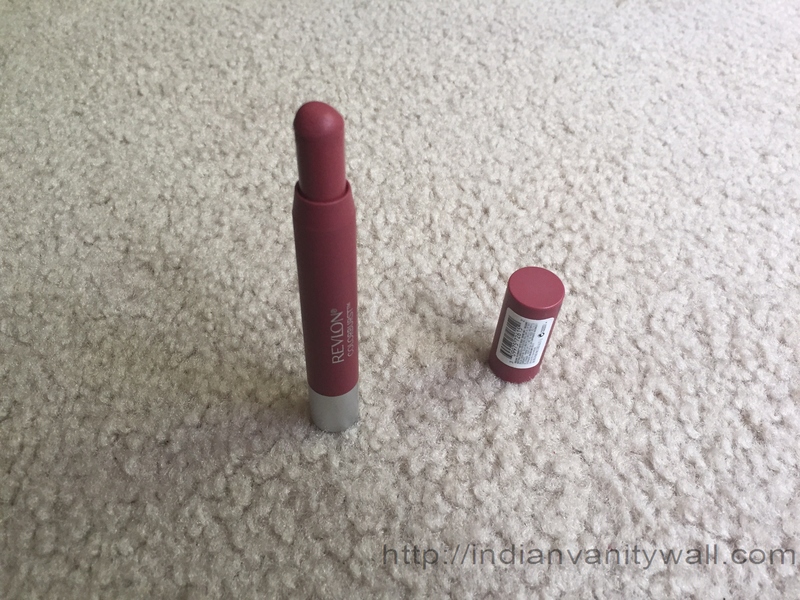 I have yet to try out these matte balms from Revlon I have heard great things about them. This shade looks really pretty on you. I love this color on you! Its absolutely gorgeous 🙂 I have Audacious & absolutely love it!!! 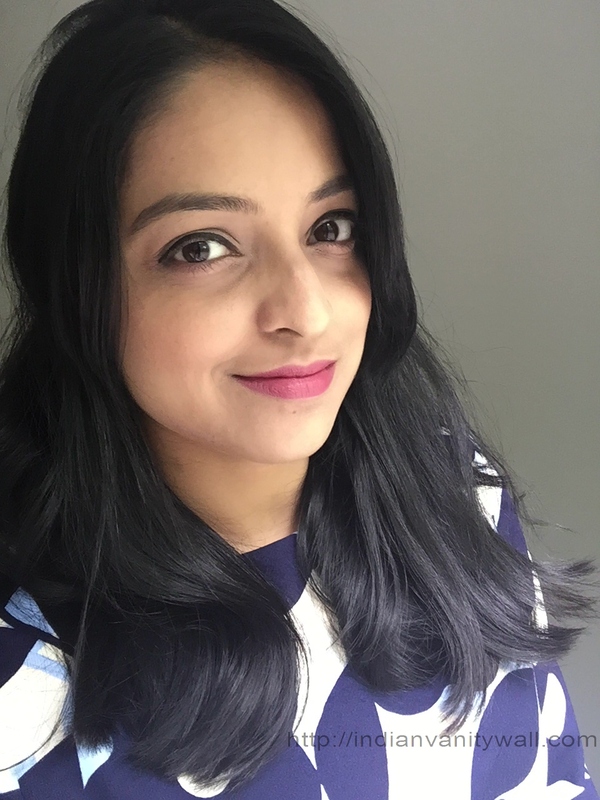 Richa Saxena recently posted…Kicking off June with Colorbar’s Velvet Matte Lipsticks: Meet Pretty Please for Day 1! I love that colour on you gal! You look lovely! I think I have to go get this one too. Chaicy recently posted…A Bohemian Nostalgia!